Pressure on embattled Islamist President Mohammed Morsi is building, as opposition claim more people want him to resign, than those who voted him into office. There are fears that huge protest rallies scheduled for Sunday will descend into violence. Activists for the Tamarod, or Rebellion, campaign – who the Prosecutor General says will be investigated for trying to overthrow the regime - claim they have gathered 22.1 million signatures since April, calling for Morsi to step down after just one year in power. 13.2 million people voted for the President in the closely-contested run-off last year. The collection is timed to coincide with the one-year anniversary of Morsi inauguration on June 30 – a symbolic date chosen by the opposition, who believe that protests across all the major cities in the country will attract millions, and trigger a repeat election. Islamist supporters of the President have rejected the signatures, saying the numbers have been vastly inflated, maintaining that the petition has no legal power. "How do we trust the petitions?" declared Muslim Brotherhood member Ahmed Seif Islam Hassan al-Banna in an interview with AP. "Who guarantees that those who signed were not paid to sign?" The anti-Morsi coalition comprises a wide range of political forces – from the urban elites who initiated the protests against former president Hosni Mubarak in 2011, to Mubarak’s associates, who have been shifted from power, to minorities concerned about their rights. "You cannot say that Morsi has failed as a President - he has been able to do very little," Ahmed Badawi from Egyptian think-tank TRANSFORM told RT. "But he has failed as a person who could create a stable framework that could avoid the exact kind of trouble we are seeing now." 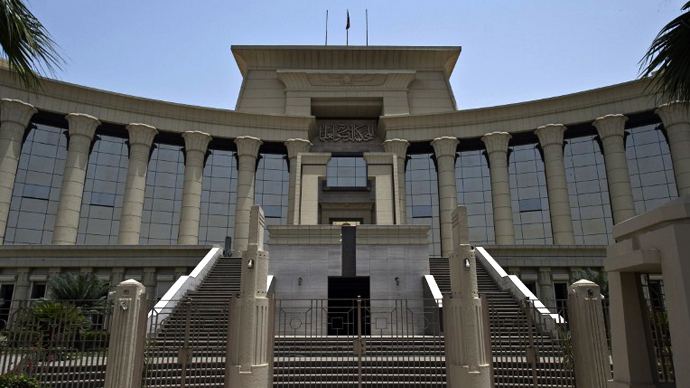 On the eve of the protests, a group of as many as 22 anti-Morsi deputies has resigned from the Shura Council, Egypt’s upper parliamentary chamber. The Shura Council has been in charge of legislation in the country after the Muslim-dominated lower house was dismissed in acrimony by the Supreme Court a year ago (new elections have still not been scheduled). "We gave them a chance to lead a reconciliation but they didn't. The resignation comes to support the popular trend in Egypt," said Mona Makram Ebeid, one of those who resigned. The opposition accuses Morsi of trying to monopolize political power in the country, by proposing an openly Islamist constitution, stuffing the bureaucracy with his associates, and banning the courts from overruling his decisions. Protesters also say he has mishandled the economy, with electricity and fuel shortages becoming a regular feature of daily life, as the government tries to secure more loans from international financial organizations. “The executive branch has no clue how to run Egypt. It’s not a question of whether they are Muslim Brothers or liberals — it’s a question of people who have no vision or experience. They do not know how to diagnose the problem and then provide the solution. They are simply not qualified to govern,” wrote Nobel Peace Prize winner and opposition figurehead Mohammed ElBaradei in Foreign Policy magazine. Morsi, a former engineer who spent a large part of his life in the US, has repeatedly claimed that he has been held back from carrying out key reforms by a mistrustful bureaucracy, which he says is still staffed by Mubarak sympathizers, and by an opposition that has questioned his every move. He has also hinted that “outside forces” are setting him up to fail. 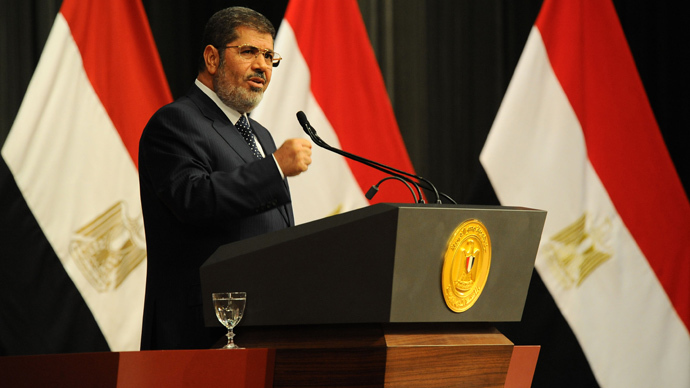 "Morsi can either make concessions or he can increase the level of violence. So far he has offered very few concessions," Said Sadek, a sociologist from the American University in Cairo, told RT. Tension has already neared boiling point as contesting factions occupy the same streets. In the past week at least seven people – including an American college student – have died in clashes, with several hundred more injured. 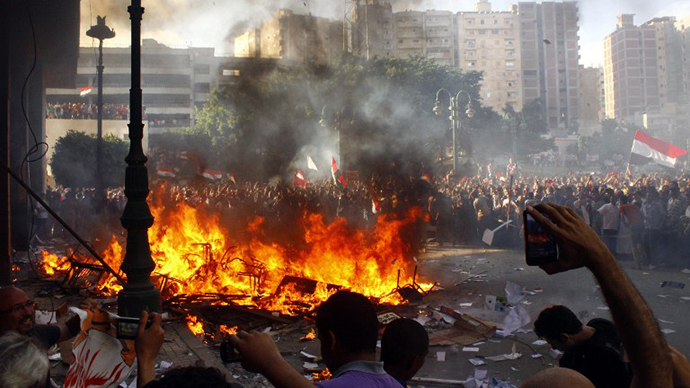 Five Muslim Brotherhood offices across the country were set on fire by angry protesters. 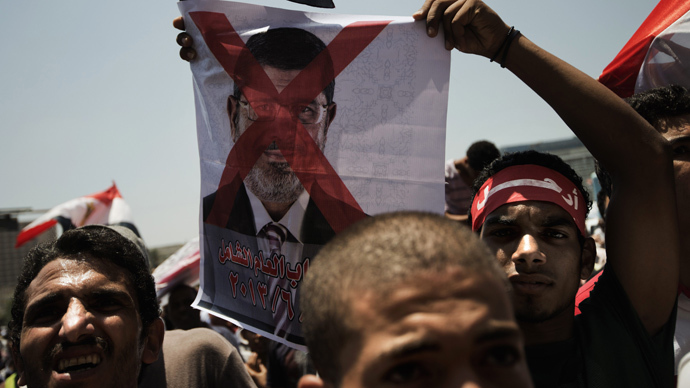 In return, Morsi’s more radical Islamist supporters have openly urged the president to initiate a crackdown on dissent, calling protesters “thugs”. 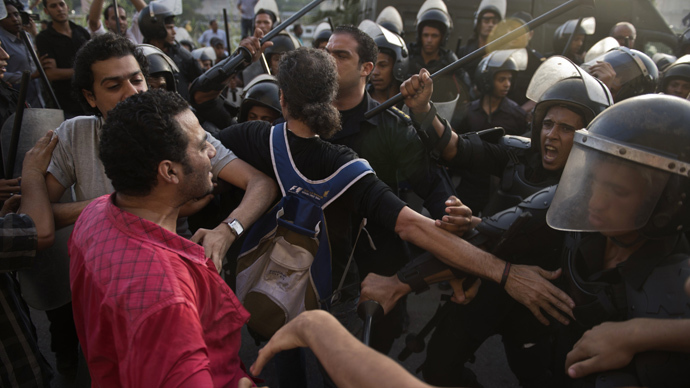 "Vigilance is required to ensure we do not slide into civil war," warned Cairo’s respected Islamic Al-Azhar institute. Although Cairo has been relatively quiet – with sit-ins on both sides - some neighborhoods have blocked up their doors in anticipation of ransacking not only by political activists, but opportunist marauders. Most flights out of the Egyptian capital have been booked over the weekend as tourists and diplomats flee the country en-masse. The outcome of the protests may hinge on intervention from the army and security forces. The army, which stepped in during the Arab Spring two years ago, has promised to prevent “an attack on the will of the people”, and to intervene if one of the antagonists incites violence. Both sides say that they are confident the military will back them if the violence escalates. The police, which has been notably reluctant to protect Muslim Brotherhood offices, and residences occupied by its official, is not expected to curtail the protests.